The open source (OS) movement allows us to re-vision corporate branding from a corporate to a coproducer perspective. Corporations own their brands and unilaterally determine their positioning and evolution. Power and control are centralized and hierarchical: producers produce brands, which customers then consume. With OS, power and control are radically decentralized and hierarchical: producers and consumers coalesce into “prosumers.” The authors introduce marketers to the OS phenomenon and develop a typology of brand aspects that can be “open” or “closed”: physical, textual, meaning, and experience. The authors elaborate new dimensions for brands and revisit the functions that brands perform and link these to the evolutionary trajectory of branding, arguing that OS represents a final phase in the evolution of corporate brands from closed to open brands. The article concludes with a research agenda. Leyland F. Pitt (lpitt@sfu.ca) is a professor of marketing in the Segal Graduate School of Business at Simon Fraser University, Vancouver, Canada, and also a senior research fellow at the Leeds University Business School in the United Kingdom. He has taught on M.B.A. and executive programs in business schools on all continents, including the Graham School of Continuing Studies at the University of Chicago, Columbia Business School, and London Business School. His work has appeared in journals such as theJournal of the Academy of Marketing Science, California Management Review, Sloan Management Review, Information Systems Research, and MIS Quarterly (for which he formerly served as associate editor). Richard T. Watson (rwatson@terry.uga.edu) is the J. Rex Fuqua Distinguished Chair for Internet Strategy and director of the Center for Information Systems Leadership in the Terry College of Business, University of Georgia. He has published in leading journals in several fields as well as authored books on data management and electronic commerce. His current research focuses primarily on electronic commerce and information systems leadership. He has given invited seminars in more than 20 countries for companies and universities. He is a past president of the Association for Information Science, a visiting professor at Agder University College in Norway and Fudan University in China, and a consulting editor for John Wiley & Sons. He has been a co-chair of the International Conference on Information Systems and a senior editor of MIS Quarterly. Pierre Berthon (pberthon@Bentley.edu) is the Clifford F. Youse Professor of Marketing in the McCallum Graduate School of Business, Bentley College, Waltham, Massachusetts. Formerly an engineer with Lotus Sports Cars, he has also been on the faculties of Cardiff University and Bath University in the United Kingdom and Columbia University in the United States. 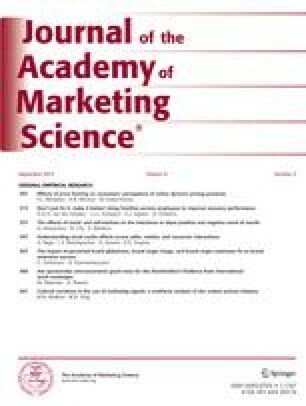 Dr. Berthon’s work has been published in journals such as theJournal of the Academy of Marketing Science, California Management Review, Sloan Management Review, Information Systems Research, theJournal of Advertising Research, and theJournal of Service Research. Donald Wynn (dewynn@uga.edu) is a Ph.D. student in the Management Information Systems Department of the Terry College of Business, University of Georgia. He also holds an M.B.A. from Middle Tennessee State University and a B.S. in electrical engineering from the University of Tennessee, Knoxville. His current research interests include OS software communities and ecosystems, business models, technology innovation, and information systems security. He has published in theJournal of International Management, MIS Quarterly Executive, and several information science conference proceedings. George Zinkhan (gzinkhan@terry.uga.edu) is the Coca-Cola Company Chair of Marketing at the University of Georgia. After receiving his doctorate from the University of Michigan, he served on the faculties at both the University of Houston and the University of Pittsburgh. Dr. Zinkhan’s main research focus is in the areas of communication, advertising, and electronic commerce. His recent coauthored books includeElectronic Commerce: A Strategic Perspective (Dryden Press, 2000) andConsumers (McGraw-Hill/Irwin, 2004).